The transition to 6th grade offers exciting new math challenges for students. A 6th grade math tutor can ease the transition to middle school math topics like pre-algebra, geometry and more. Our Z-Match process will ensure that you find a tutor who is the right fit for your pre-teen – so not only will they see improvements to their math scores, but they will also be more confident and excited to learn. Club Z! 6th grade math tutoring provides students with a math mentor who can help make sense of new concepts and give them everything they need to succeed throughout middle school and beyond. Keeping up with updates in technology and common core 6th grade math can be difficult for parents who were not taught those methods when they were in school. That’s where our math tutors can make a difference. Our tutoring plans help students develop solid mathematic foundations. Our most popular 6th grade math worksheets include algebra, common core math, pre-algebra, geometry, 6th grade math fractions and more. Club Z! 6th grade tutors also have an array of engaging and exciting 6th grade math games to help with topics like integers, graphing concepts and more. When your student encounters difficult 6th grade math word problems, a Club Z! 6th grade math tutor will give them the tools and confidence to succeed. Meet one-on-one with a private math tutor that specializes in 6th grade math. Club Z!’s in-home 6th grade math tutors are thoroughly vetted and background checked, and must either be a teacher or have a degree in their field of expertise. We understand that each student learns differently, which is why we work with students, parents, and teachers to develop a 6th grade in-home math tutoring plan that accomplishes everyone’s goals. Our Z! Tutor Match process is a comprehensive system that will match you with a in-home 6th grade math tutor that meets and exceeds all of your expectations. Over our 20 years of experience, we’ve found that a positive pairing between students and in-home 6th grade math tutors is a recipe for effective and long-lasting results. This is a cornerstone of the Club Z! in-home math tutoring program, and has helped our students see excellent results in a short period of time. Whatever the need, Club Z!’s in-home 6th grade math tutoring is capable of helping your child excel in math. When your student needs math tutoring in a short time frame, Club Z! online 6th grade math tutoring is here to help. You can always find a tutor on our online live learning platform. With just four simple steps you can pair your student with an online math tutor in no time. All our online 6th grade math tutors are tested, certified and background checked and many of our tutors have hundreds of hours of tutoring service on our live learning platform. 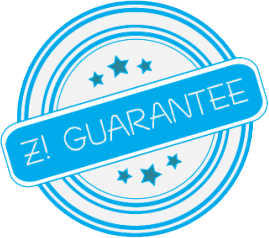 We’re so confident you’ll find the right online 6th grade math tutor that your first lesson is covered by our Z Guarantee – meaning you’ll love your tutor or we’ll cover the first hour of your lesson. “Where can I find 6th Grade Math Tutoring Near Me? 6th Grade Math Tutoring with a Club Z! Tutor. Club Z! Tutoring has highly qualified and experienced 6th grade math tutors who provide one-on-one, focused instruction for all middle school math topics, including pre-algebra, algebra, geometry, fractions, and even Common Core math. Our 6th grade math tutors will work with your student to not only become proficient but also a leader in the classroom. 7th Grade Math Tutoring with a Club Z! Tutor. Club Z! Tutoring has highly qualified and experienced 7th grade math tutors who provide one-on-one, focused instruction for all middle school math topics, including pre-algebra, algebra, geometry, fractions, and even Common Core math. Our 7th grade math tutors will work with your student to not only become proficient but also a leader in the classroom. 8th Grade Math Tutoring with a Club Z! Tutor. Club Z! Tutoring has highly qualified and experienced 8th grade math tutors who provide one-on-one, focused instruction for all middle school math topics, including pre-algebra, algebra, geometry, fractions, and even Common Core math. Our 8th grade math tutors will work with your student to not only become proficient but also a leader in the classroom.